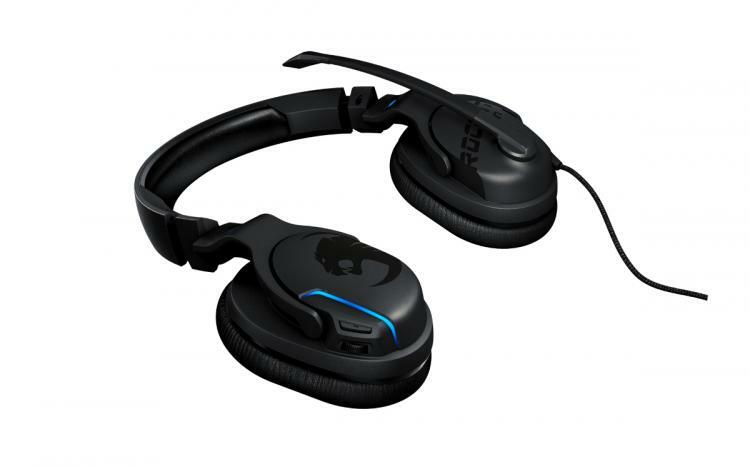 Hamburg, February 6, 2018 – ROCCAT proudly announces its new Khan AIMO headset. Part of the AIMO illumination series, the premium headset builds upon the strengths of the critically acclaimed Khan Pro. It boasts high quality 50mm drivers capable of Hi-Res audio, a microphone that covers the full vocal spectrum and a supremely comfortable fit. The Khan AIMO features an integrated sound card capable of producing crystal clear sound up to 24-bit at 96KHz, easily outperforming onboard audio solutions provided on most gaming motherboards. This ensures gamers don’t have to worry about having a headset that needs a specific sound card, with the Khan AIMO representing a complete, premium solution right out of the box. The dedicated sound card coupled with high-end driver units offer amazing virtual 7.1 surround sound, placing the gamer right at the center of the action, improving immersion in-game as well as the ability to pinpoint enemy locations. The virtual surround sound can also be disabled by users as per their preference, with the Khan AIMO functioning as an excellent stereo headset as well. The Khan AIMO is built tough. High quality materials such as the stainless-steel sliders ensure durability and a long lifespan. In spite of its durability, the Khan AIMO is also exceptionally light at only 275 grams, making it one of the lightest USB RGB headsets on the market. Memory foam earcups combine with comfortable headband padding, making it the perfect companion for longlasting gaming sessions. The Khan AIMO is also fully Swarm compatible. The well-known ROCCAT driver system allows the user to set up the stylish AIMO RGB lighting effects that harmoniously complement their gameplay, as well as choose between many different equalizer modes. Swarm offers a myriad of options to customize and optimize the sound experience to personal preferences. Khan AIMO has it all, great comfort for extended gaming sessions and rich audio quality with virtual surround. The smart AIMO lighting rounds out the premium Khan AIMO package. The headset will soon be available in all major retail and online outlets at a competitive price of just $119.99. For more information visit https://www.roccat.org/en-GB/Products/Gaming-Sound/Khan-AIMO/.